Gallego (Puerto Real, Cádiz, 1944) was only 21 when he joined Barça from Sevilla. In his ten years at the club he came to become one of its most iconic figures of the period, widely regarded for his powerful physique and immense strength. This made him the typically tough centre back of the era, and few players were willing to sweat for the colours as much as he. His marking was ferociously tight and he was almost unbeatable in the air, a facet the club was often able to exploit by sending him up-field for set pieces, where he’d frequently head home spectacular goals with a nonchalance that almost made it look easy. 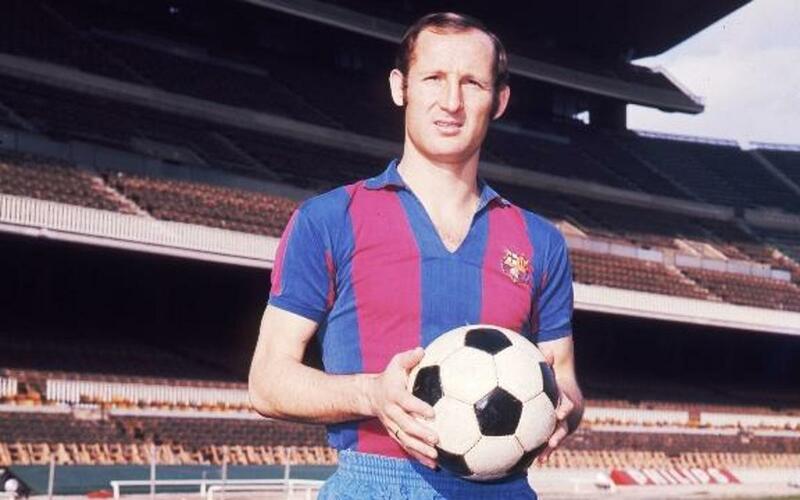 By the late sixties he had come to be considered the finest centre back in Spain, some even said in the whole of Europe. In total in played 429 games for Barça, making him one of the all-time club leaders in terms of appearances. In 1975 he left Barça to return to Sevilla. A testimonial took place on 30 August 1979 at the Sánchez Pizjuán stadium between Sevilla and FC Barcelona.